We decided to take an impromptu vacation after our college kids' finals this year. They wanted to relax on a beach and we were lucky to find space awaiting for us at the Ritz-Carlton on St Thomas in the U.S Virgin Islands for a few days escape. This hotel reminded me of a smaller version of The Ritz-Carlton in Maui. After checking in, we walked out back to survey the beautifully landscaped grounds. An infinity pool led the eye out to sea. The beach was wide with comfortable lounge chairs with optional shade tops. It was well attended with offers to bring food, drinks, towels, etc. We spent the majority of our time on the property. The food options at the Ritz-Carlton in St Thomas were varied enough to keep our small group happy for our short stay. I enjoyed the Carribean lobster dinner at Bleuwater and the fresh fried fish wrap at Sails, in particular. We snacked on chips and guacamole by the pool. Enjoying the array of adult beverages kept our college kids happy as well. They liked being introduced to the various tropical options with the "drink of the day" at Sails, we also checked out some local beers and enjoyed a few different wines while there. My son really enjoyed the Italian restaurant's offerings at the hotel. The roads in the area seem a bit treacherous but we did leave once for an off-campus dinner at a long time island favorite, Mim's Seaside Bistro, which is known for their lobster dinner. 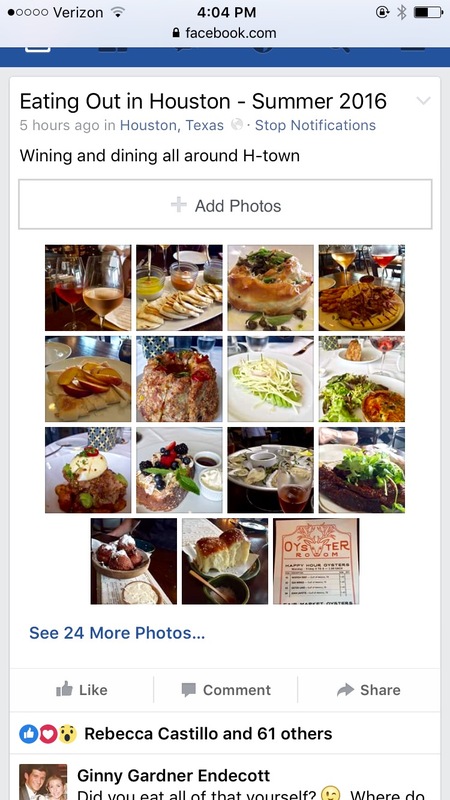 The food is good at Mim's and the ocean view is lovely. Don't be surprised to find it situated by an older hotel. There is a boat rental on site at the Ritz with captains for island hopping. My son did not have a passport so we stayed in the American Virgin Islands though some of the British islands are easily accessible from St Thomas as well. We enjoyed time on private beaches and at public beach bars like Dinghy's, we snorkeled, we swam, we ate, we drank, we visited Pizza Pi, a pizza boat (like a food truck but a boat) and we island hopped as far as we could while taking in the beautiful scenery. I highly recommend Captain Brendon and a day out on the Nauti Nymph for your small group. 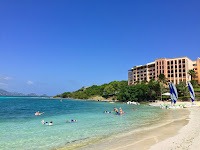 As expected, the Ritz-Carlton, St Thomas provided an ideal family get away for us and our older children. We all enjoyed unwinding and reconnecting at this beautiful beach get-away where the service was as perfect as the view. The Ritz-Carlton in St Thomas is another one of my recommended hotels. Thanks for sharing this helpful info, it has been a great help. Keep sharing and caring.